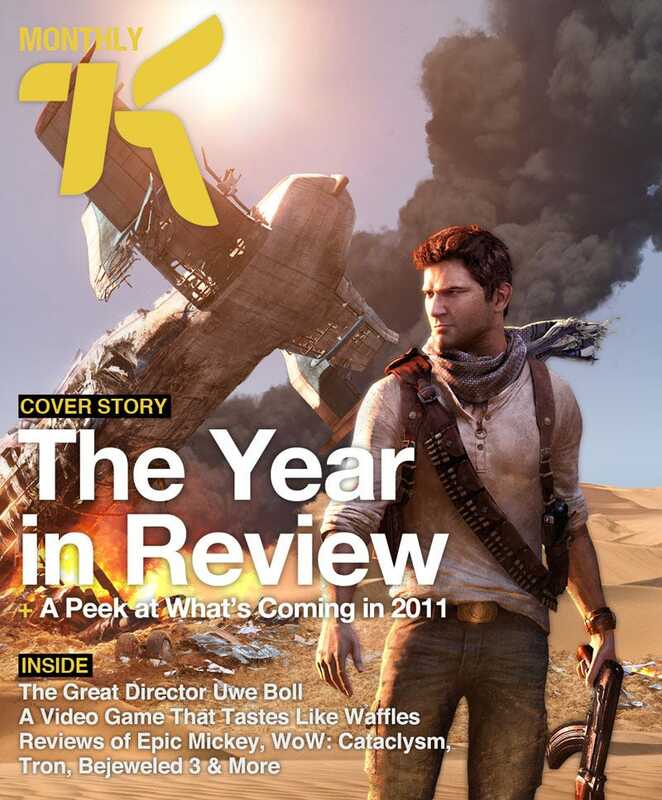 Welcome to the December 2010 edition of K Monthly, a look back at some of the best original video game coverage, including reviews, previews, features, and weekly columns, from Kotaku. Kotaku wrapped up the year that was with our 2010 year in review, looking back at twelve months of motion control, disappointments, good news, surprises, trailers and more. We also reviewed some of December's biggest games, like World of Warcraft: Cataclysm, along with a two week long MMO log. Is the Future of PC Gaming Massive and Online?